The kids and I have been working on our advent calendar this week. I’ve been trying to include more than just candy in it, even thought they do love the candy! At least once a week I try to include a little project for us to do or a random act of kindness for us to complete. One day, the kids found two chocolate chips in the drawer they pulled out. 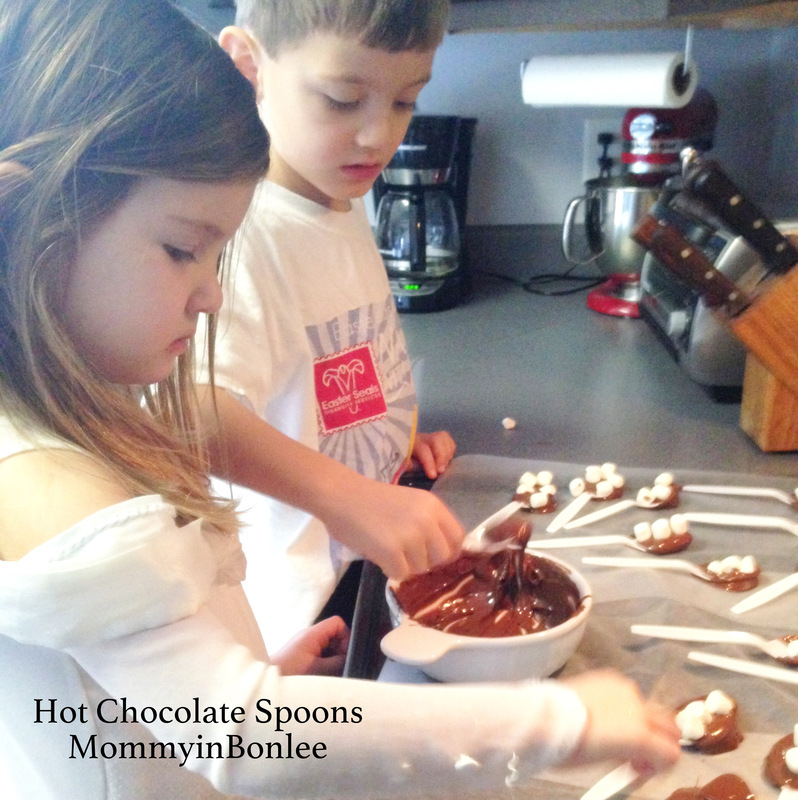 Of course they ate them, but we used the remainder of the bag to make these hot chocolate spoons for them to give as gifts to their friends. When we saw some hot chocolate spoons (and their outrageous price tag) last week while out shopping, I knew that we could easily make them. 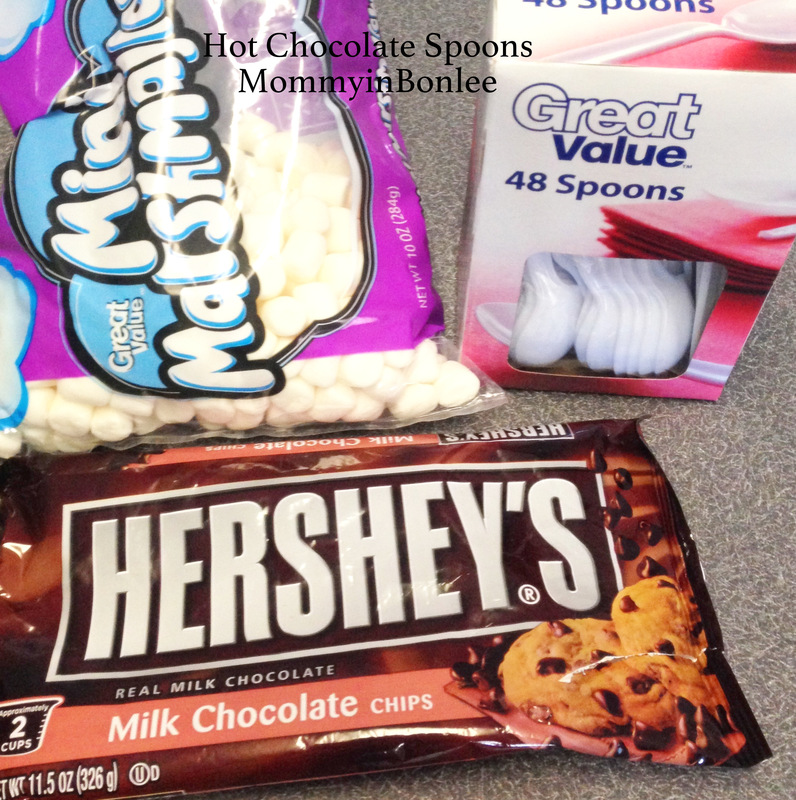 All you need are some plastic spoons, chocolate chips, and marshmallows. 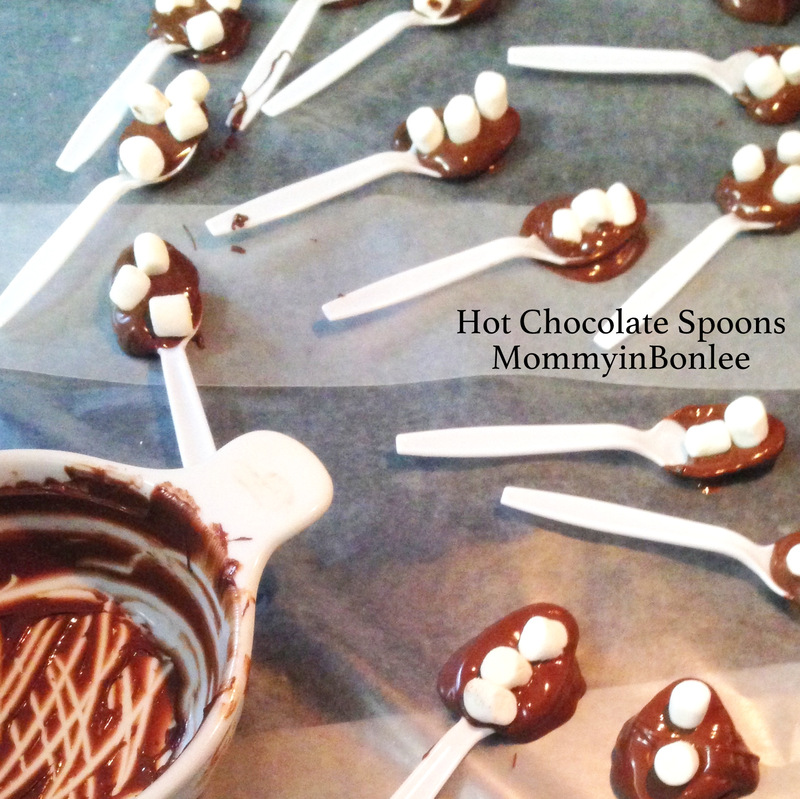 Melt the chocolate chips, dip the spoons in the melted chocolate, then place a few marshmallows on each spoon. Put them on some wax paper to harden. 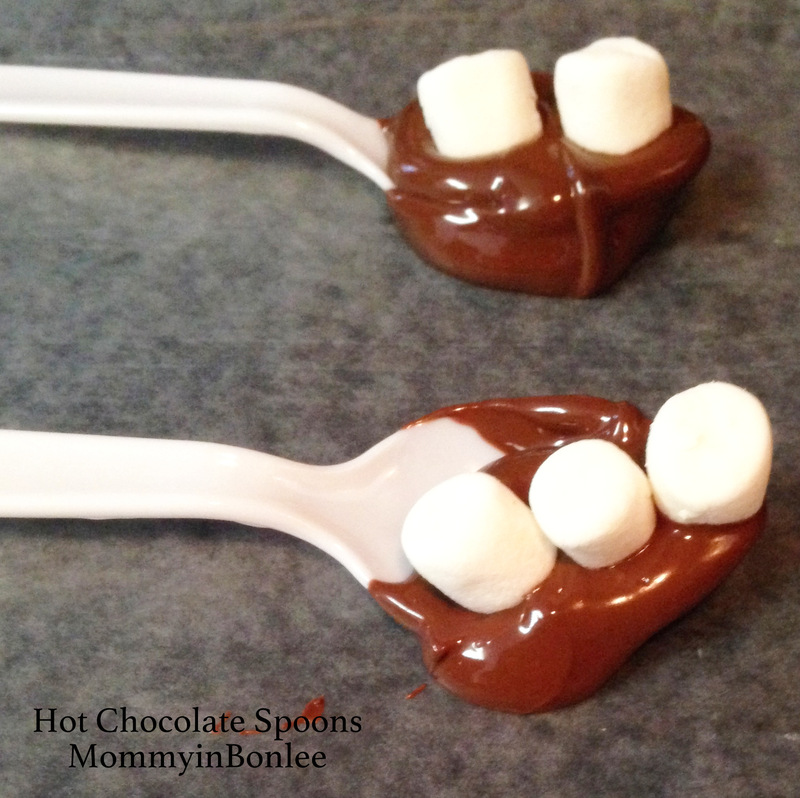 The kids had a great time making these, and they love the hot chocolate that they can make with these hot chocolate spoons! All you do is heat up some milk, then stir the spoon around in it to melt the chocolate milk and marshmallows. They had a great time drinking hot chocolate while they were watching The Polar Express last night. I think their friends will love this gift, too! The things we stumble upon. Great. Who wouldn’t love. So sweet they made them for their friends! They look yummy! They are really good! I found some little child-size mugs at Crate & Barrel, stuck a spoon in each one, put them in a gift bag, and that was their gift to their friends. It was really easy.